As a research services partner, Back Office Pro (BOP) provides customized, quick, and result driven information and analysis services when clients outsource financial research to BOP. BOP works as your offsite knowledge process partner and offers invaluable insights that are based on detailed analysis gathered through in-depth analysis of the finance sector. Helping leaders across the business segments around the world, BOP’s professional team of financial research experts help in quick as well as result-driven decision-making which in turn ensures an augmented profit and reduced risks. When it comes to hiring skilled research experts, it proves highly expensive since it is not one the core areas for many enterprises and BOP bridges that gap between hiring experts without having to spend a fortune on it. Allowing clients to focus on core business areas, BOP is one of the most trusted financial research companies and works as a research partner with the required resource support to offload crucial research projects. BOP’s financial analysts are handpicked from top universities and institutes and offer the following skill sets. Knowledge in prioritizing tasks and a sharp mind to work on complex financial projects. 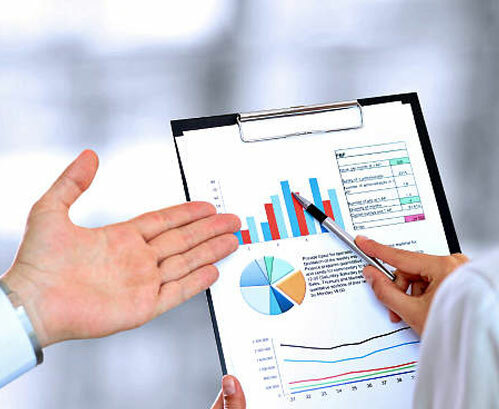 Business Research BOP’s professional financial analysts, provide business research across a wide spectrum of business-related subject areas that enable clients to uncover highly invaluable data. Credit Research BOP evaluates all credit opportunities along with risks and possible threats that in turn help investors in making smarter choices. Financial Analysis BOP’s financial analysis services are aimed at providing accurate ROI assessment for enterprise level decisions. Investment Research BOP offers highly comprehensive investment research services that greatly help clients in making the right financial as well as investment decisions. Equity ResearchBOP provides both initiations as well as maintenance research related reports that help both the ‘buy’ & ‘sell’ side with qualitative and quantitative assessments. Business Valuation BOP leverages on a wide variety of market factors as well as projections to come up with the right business valuation that aid in funding and merger and acquisition-related aspects. BOP is a highly focused research support partner with the ability to scale up to meet growing market research requirements. Working along with client’s in-house specialists, BOP helps making smarter and more profitable business decisions. Looking at higher ROI for clients, BOP offers a highly efficient as well as self-functioning team that offers research support without any handholding and yields better financial decisions. ISO certifies quality process to ensure all research and analysis projects are taken up with the right kind of approach and is thoroughly systematic. BOP offers assured productivity with less investment by hiring the right kind of skills required for a project. The global location allows BOP to be available 24*6 to respond to client queries and this also allows the financial analysts to have a greater idea about the local financial market and regulations. Highly secured research labs to ensure client data is safe at any point in time. BOP uses the latest techniques for research and analysis and trains the financial analysts at regular intervals to ensure enhanced services to its global clientele. Contact BOP today for more information on financial analysis services.